What is the Secret Behind the Signature Burger at Shake Shack? One way to evaluate the skills of a cook is by checking how they make their burgers. Although this food seems very simple to make, making a delicious burger requires an effective combination of beef, bun, and a wide variety of toppings. It is important that all the ingredients that the cook uses work together well to create a perfect blend of flavors. 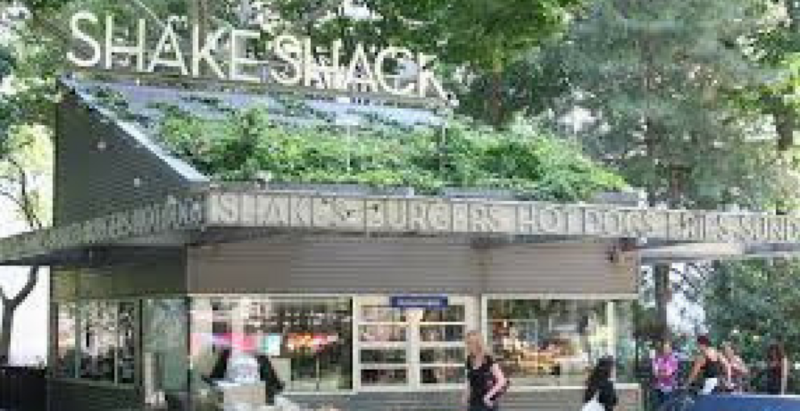 With that in mind, it can probably be said that the cook responsible for making the burgers at Shake Shack is one of the best. Their customers just cannot get enough of their signature burger that is just cooked perfectly and done right. The success of this fast-casual restaurant chain can also be attributed to the fact that the owner, Danny Meyer, was able to build a brand that combines the convenience of a fast food business with the great beef cuts and elegance of a fine restaurant. If you have been wondering how you can recreate the Shake Shack’s signature burger, then here are some great news for you. Shake Shack has recently released a book that can be considered as either a cooking manual, a memoir, a coffee table book, or a combination of them all. It was written by Randy Garutti and Mark Rosati, with the introduction written by the man behind the greatness of their burger, Danny Meyer himself. The best thing is, the book contains the recipe for the Shack Burger as well as a version of their special sauce. Now, home chefs like you can recreate the signature burger at home and delight the whole family. Mark Rosati, who co-authored the book and is also Shake Shack’s culinary director, still has more information to share, aside from those that can be found in the book. Read on so you can somehow try to uncover the secret behind their signature burger. According to Rosati, one of the biggest mistakes that home chefs make is paying too much attention to the patty and not giving enough consideration to the bun. The buns used by Shake Shack are potato rolls made by Martin’s. But, if you cannot get your hands on the proper bun, just make sure that you find one which will not overwhelm the patty. It should be soft, tender, and should not flake apart in your hands. When you try to recreate the burger, make sure that toast and butter your bread. This is important to soften the outside of the bun and create a nice and crispy interior at the same time. It is better to use a cast iron pan rather than the grill for cooking your burger. It gives a nice and even sear across the entire surface of the patty and the juices are sealed in at the same time. You do not even need to add oil or butter to the pan, especially if it is well seasoned. While you cannot get the proprietary blend that Shake Shack uses, you can develop your own blend at home. What you can do is to buy different kinds of steak, such as a chuck or a sirloin, and have your butcher grind them separately. Then, make burgers using the different meat so that you can determine what you like or do not like in your burger patty. Based on your assessment, you can try to combine different meats next time in your distinctive proportion so for this step, you also need to unleash your resourcefulness. Evenly sprinkle a pinch of Our Salt & Pepper Mix on top of each puck of meat. Place the pucks on the griddle, seasoned side down. Using a large, sturdy metal spatula, firmly smash each puck into a 1/3-inch-thick round patty. Pressing down on the spatula with another stiff spatula helps flatten the burger quickly. Evenly sprinkle another big pinch of Our Salt & Pepper Mix. Cook the burgers, resisting the urge to move them until the edges beneath are brown and crisp, and juices on the surface are bubbling hot about 2-1/2 minutes. Slide one of the spatulas beneath the burger to release it from the griddle and scrape up the caramelized, browned crust. Use the other spatula to steady the burger and keep it from sliding. Flip the burgers. Put the cheese on top and cook the burgers 1 minute longer for medium. Cook more or less depending on your preference. Put all the ingredients in a small mixing bowl and stir until well combined. It can be kept covered in the refrigerator, for up to one week. The recipe makes a half a cup.